Civilian and military security guards have a vital role and are faced with certain job dangers. 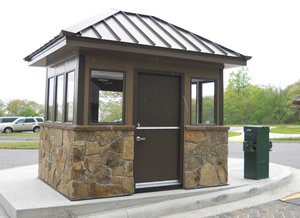 Having a security booth lets them have one less worry to face every day. 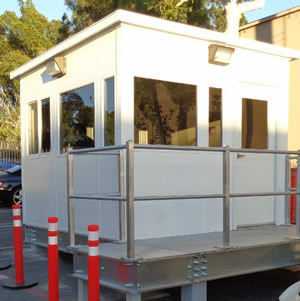 The manufactures custom guard booths, guard shacks and guard houses to meet the essentials of each specific facility. 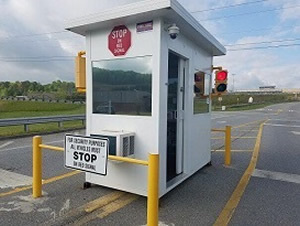 Panel Built Guard booths are innately tougher than standard guard booths because each different section is designed to endure the stress of transportation and assembly. 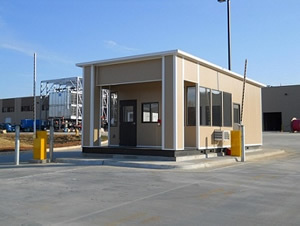 The guard booths can be lifted with a forklift for ease of moving. 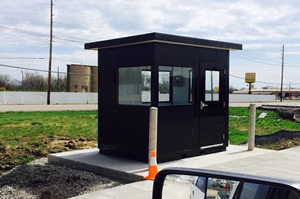 The security booths are used to shield individuals and employees at government and military installations, airports, theme parks, stadiums, manufacturing facilities, LPOE booths, border crossings, fueling stations, and much more. 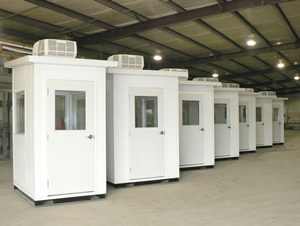 Our security booths and guard booths are factory-made to withstand unique purpose that you may require. 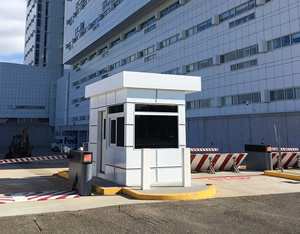 We have guard booths for that meet all NIJ and UL bullet resistance ratings, and security booths that can be designed to fit in with the surrounding building to ensure a perfect fit into your facility’s situation. 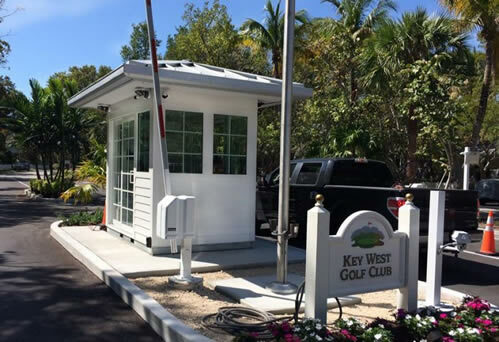 Project of the Month winner goes to this 6'x 9' guard house for Key West Golf Club in Key West, Florida. 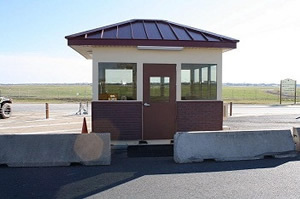 The guard house is replacing a previous, guard house that had been used as access control at that location before. 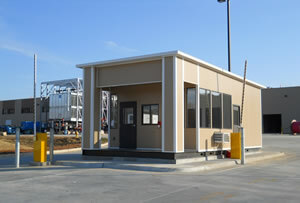 The new building is composed of welded steel walls with siding. 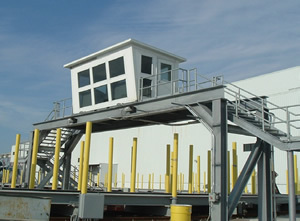 The building has a steel base that can be lifted with a forklift, allowing for easy transportation and installation. 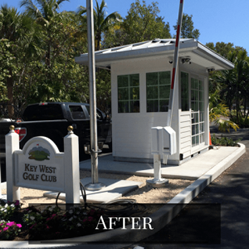 The booth was designed to complement the sunny and tropical environment of Key West. With an ultimate wind speed rating of 180 mph, the guard house was engineered to withstand some of Florida’s harshest weather. 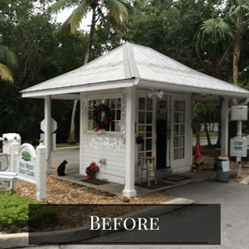 The booth comes complete with A/C, exterior lighting for added protection, a metal standing seam hip roof and sliding glass door for easy entry and exit.